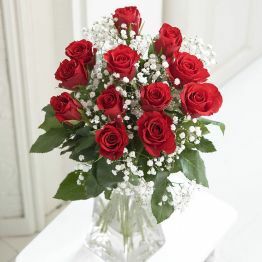 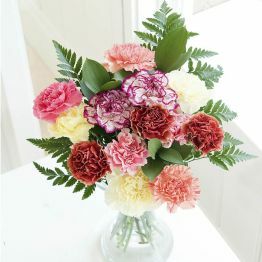 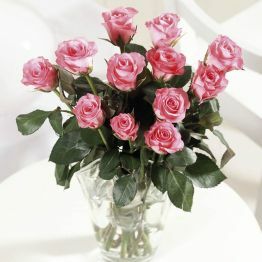 The sweet selection of carnations and spray carnations is absolutely beautiful and guaranteed to last for 14 days. 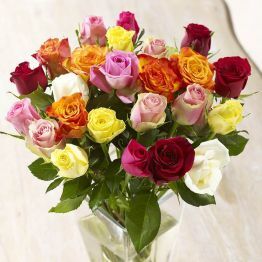 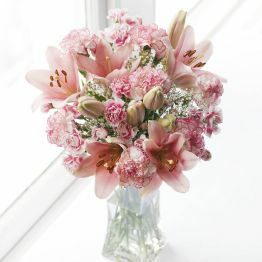 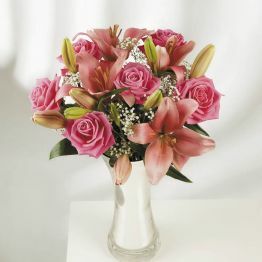 To allow these beautiful flowers to last much longer, they are shipped fresh, budding, and ready to bloom. 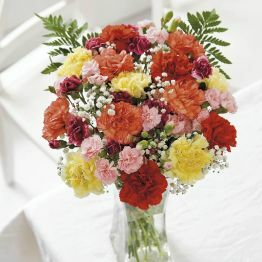 24 Stems of mixed carnations with Seasonal greenery - Colours will vary from picture.